The worlds of finance and farmland might seem incompatible. On the one hand, you have quarterly results, slick salesmanship, and quick gains; on the other hand, there’s crop cycles, heavy machinery, and unpredictable conditions. But according to Daniel Little and Gabe Santos, two former finance professionals, there’s an opportunity to marry the two and generate returns for both farmers and investors. Santos and Little are cofounders and portfolio managers of Homestead Capital, a private-equity firm with $574.5 million assets under management raised through two separate funds. Some of their largest investors include the Oregon Treasury, Washington State Investment Board, and the Maine Public Employees Retirement System. When investing in farmland, they do not use one set strategy. They sometimes acquire unused farmland and bring in a farm operator. They sometimes take over the lease of a farm and work with the existing farmer. They also fund equipment upgrades when necessary. The San Francisco firm oversees 18 crop types on 27 investment projects in 13 states. Homestead is on track to meet its target returns of 11 to 13% unlevered internal rate of return and an annual cash yield of 5 to 7%, according to Santos and Little. In 2009, Santos and Little were both working in Hong Kong for Wall Street giants. Santos worked with the global natural-resources group at Goldman Sachs and Little was a fund manager at JPMorgan when the two first met at a mutual friend’s birthday party. They quickly realized that aside from their professions, they had a much deeper connection: a passion for agriculture. They spoke of their mutual interest in agro investing, and, before the night was over, agreed to follow up with each other the following week. The passion Santos and Little share for agriculture comes from their exposure to that world at a young age. Santos, 39, was born the oldest of three boys to Mexican immigrant parents and grew up in a neighborhood east of Los Angeles. His grandfather had been a seasonal migrant farmer in the 1940s and ’50s. 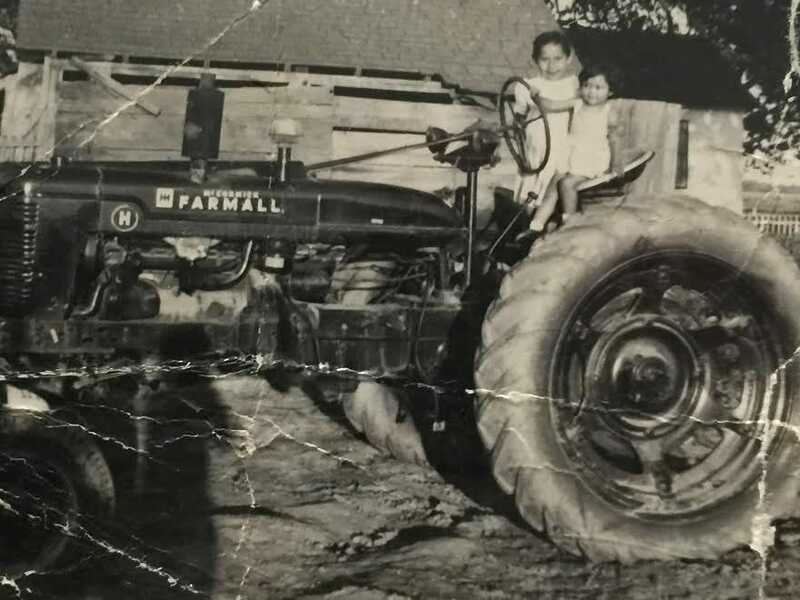 Santos still has a picture of his mother and aunt sitting on his grandfather’s tractor. Little, also 39, grew up in Ohio during the farm crisis of the 1980s, when farmers faced increased equipment prices and interest rates, falling exports, and record foreclosures. As an adult, he returned to Ohio with his wife and bought farmland where he now grows corn and soybeans. Beyond farming, Santos and Little shared similar professional goals as well. “We figured out we were both entrepreneurs trapped within these large institutions,” Santos says. Santos and Little began laying the groundwork to launch their own fund dedicated to investing in agriculture from 2010 to 2012. They used vacation days to fly back to the US from Hong Kong to assess farmland and to put together a team. Ray Brownfield has worked in the farmland acquisition business for 44 years and overseen some 500,000 acres in acquisitions. He is now a regional manager for Homestead Capital and a part of its mission to maintain a local presence on its farms. Farming is a capital-intensive business, meaning a substantial amount of money needs to be paid up front for equipment, seeds, and other goods before returns are seen. And oftentimes there’s a concern outside investors are unwilling to take a long-term approach. 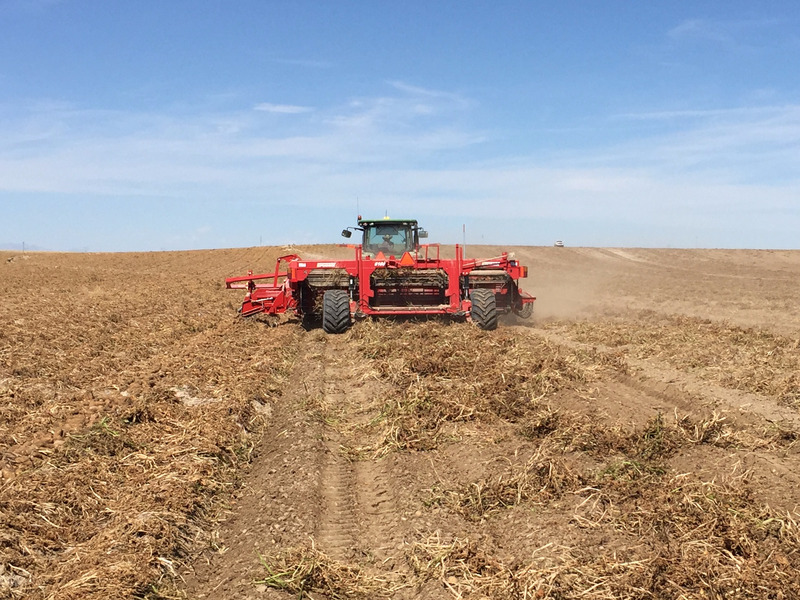 Idaho farmer Duane Grant — whose father left his life as a California rancher to be an Idaho farmer after World War II — manages 4,000 acres in southwest Idaho, where he packages 3.5 million potatoes each year that he then sells to french-fry companies. According to Grant, crops can run on eight- or 10-year cycles, and profits can be hard to predict because of weather and macroeconomic factors. “My concern with institutional investors is always their commitment to the industry,” Grant says. But in 2013, Grant entered into a partnership with Homestead Capital, a private-equity fund run by Santos and Little, for a farm just shy of 1,000 acres. Grant and Homestead have since moved from a 10-year plan to a buy-and-hold strategy. Grant says that working with Homestead has shown him that Santos and Little have the proper vision and long-term commitment to be successful in the industry. “They really want to create value in creating community good,” Grant says. When did collusion become the new conspiracy?